2. Customer is required to fill in complete address as subscription is based on availability of address. 3. Free standard installation is included. 4. Cashback is applicable to new applications only. Plan changes for existing customers are not eligible for Cashback. 5. One month free subscription will be credited to user's account in the form of cashback upon successful application. 6. 2-year contract applies for each application with UniFi. 7. 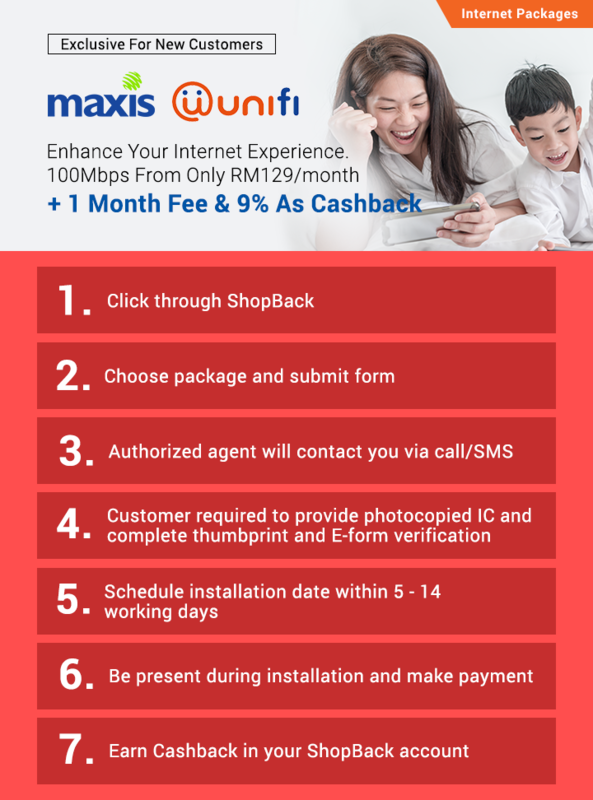 1-year contract applies for each application with Unifi Broadband. 8. A penalty will be imposed upon early cancellation by the Internet Service Provider. Subject to respective Internet Service Provider’s T&Cs.